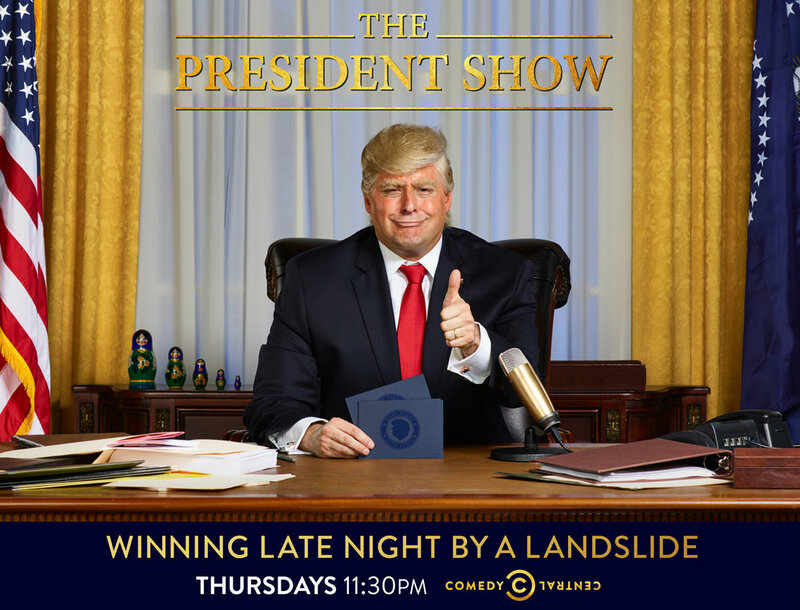 Topical and forthcoming, The President Show key art highlights Anthony Atamanuik as our 45th and final president. 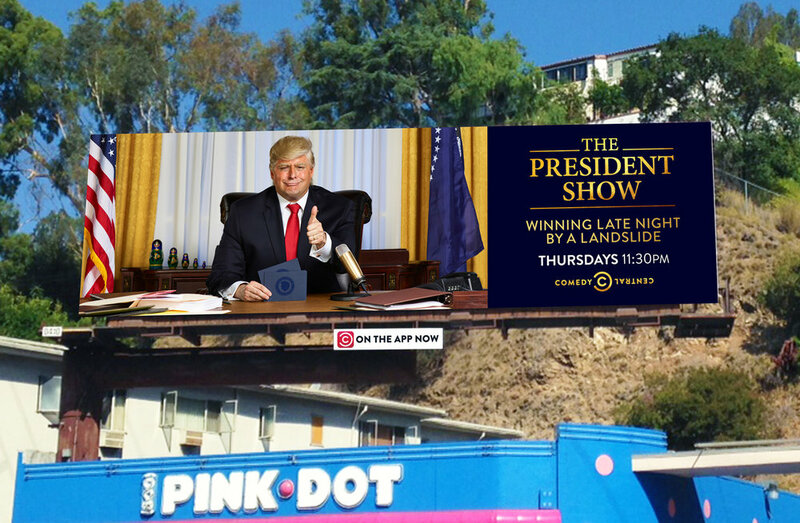 The out of home advertising featured a strategically placed billboard outside of Mar A Lago and in the DC Metro. Our digital ad space also featured a failing New York Times takeover. 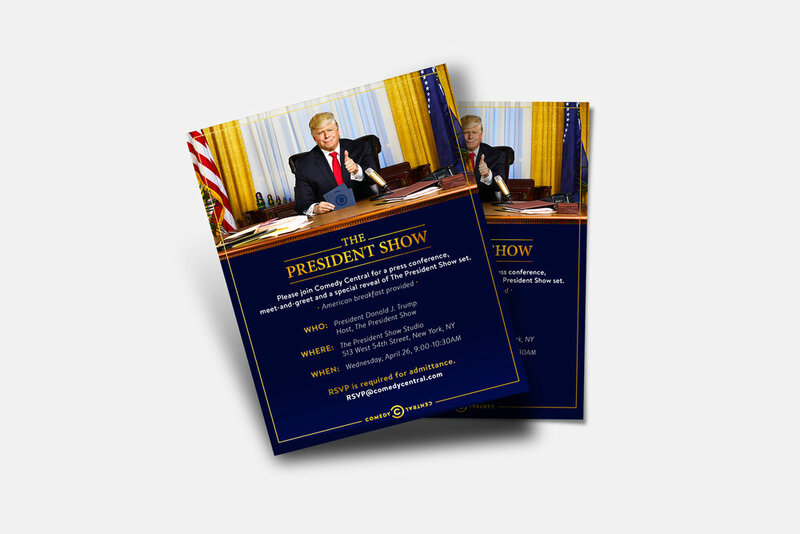 Could’ve sworn this was the real thing.